The Power of Positive Dog Training by Pat Miller - This book is a wonderful resource for force-free training, providing an overview as well as practical advice for basic through advanced behaviors and trouble-shooting. It includes information on clicker training, treat suggestions and a glossary of training terms. 101 Dog Tricks: Step by Step Activities to Engage, Challenge, and Bond with Your Dog by Kyra Sundance - This book sparked my love of trick training with Ruby, something that has proven to be incredibly rewarding for both of us. It has so many cute ideas and step by step instructions, organized by difficulty and providing ways to build on simpler tricks. Note: Some of the instructions do involve physical manipulation, such as holding a dog's foot up or placing a piece of tape on their nose, which could be aversive for some dogs. Please remember to observe your dog for signs of stress whenever you are training. For the Love of a Dog: Understanding Emotion in You and Your Best Friend by Patricia B. McConnell - While not specifically a training book, I think anything that deepens the knowledge of our dogs' inner lives will help us to communicate with them. I recommend any of McConnell's books, but found this one especially beautiful. Control Unleashed: Creating a Focused and Confident Dog by Leslie McDevitt - This book is meant as a companion to a specific training program for agility dogs, and can be difficult to apply if you don't have other dogs/handlers available to work with; however, there are some great exercises and most of all, a way to shift your thinking to help the sensitive/reactive/fearful dog. The story of McDevitt's dog Snap at the end is worth the entire book. Plenty In Life is Free by Kathy Sdao - This book is so important to me, and although it is more esoteric than instructional, it is a beautiful exploration of our ethical duties to our dogs and the limitless potential of joy that exists in those relationships. It spoke to my heart and expressed things I've had difficulty articulating in my own rejection of aversive methods. I recommend this to everyone who has ever asked if there is a better way to communicate. 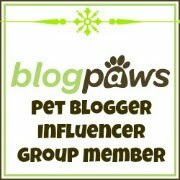 This post is part of the Positive Pet Training Blog Hop - join us on the first Monday of every month to promote positive pet training and share advice and experiences. The hop is open all week long! 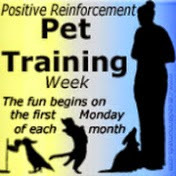 The next hop begins June 1st with the theme of training multiple pets. 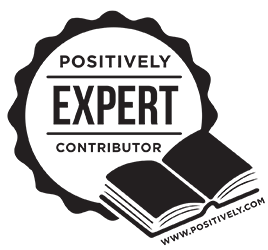 This is an excellent variety of positive dog training and just general positive dog lifestyle books Lara. I am going to have to find the Kyra Sundance one. I could use a trick training spark! It's a fun one and she does a great job of breaking the tricks down into smaller steps. Ruby knows enough tricks for an Intermediate title, I just haven't gotten around to sending in the application. Thank you for sharing this list - I am always looking for new literature to help continue positive training methods! Sure thing! I've learned about some more in the comments that I'll want to read. I love all of those! They are great! Great list. I love Control Unleashed although I find myself preferring the puppy version. I love anything by Patricia McConnell. I also found When Pigs Fly! Training Success With Impossible Dogs by Jane Killion, How To Behave So Your Dog Behaves by Dr. Sophia Yin, and The Other End of The Leash by Patricia McConnell to be hugely helpful. Oh, I want to read that Jane Killion book. I have the Sophia Yin book and almost included it even though I haven't read it yet, because I know it's an +R classic. The Other End of The Leash is one of my absolute favorites! I'll have to look for that Jane Killion one... sounds like training a dachshund! :) Or a reactive dog, right Lara? Great suggestions! I have well-worn copies of all of them (because I work with an awesome trainer who knows that I like to read - and loans me copies of books she thinks I'll eventually want to buy - and she's right). 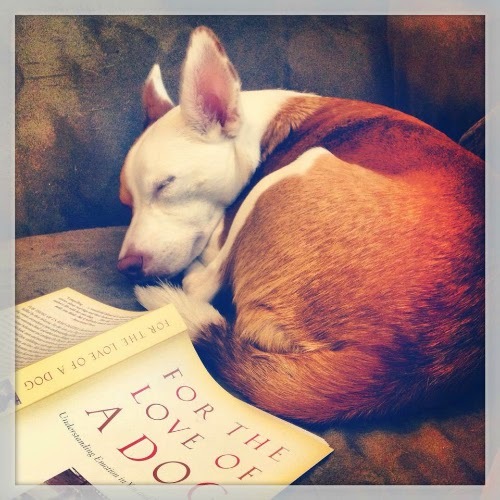 I'm always looking for new dog books, especially ones on training or dog/human relationships. I'm reading 2 right now! Great books!! I've read 4 out of the 5! I haven't read the one by Kathy Sdao, but I have been to one of her classes at an APDT conference and learned so much from her! I've read 3 of those and absolutely adore them so I'll definitely be checking out the others. You've got great taste when it comes to books for sure. What a great list! I've read a few, but I'll definitely be checking out the others. I love to read too, though since starting the blog I don't have as much time for it as I used to. This is a great list of books, and I am always looking for suggestions. I have the Patricia McConnell book, I got it as a gift quite a few years ago but never made it through it. I think it was too scientific for me? Does that sound right? Now that I have reactive dogs, I'm thinking I might want to give it another try though. Great resources! I always recommend The Power of Positive Dog Training by Pat Miller to start with and anything by Patricia McConnell is good. I am using Kyra Sundance's The Dog Tricks and Training Workbook in my Click-a-Trick classes. I wish I had more time to read because I have a stack of books I haven't started yet and I keep finding more! I still need to get Plenty in Life is Free... but it's on my wishlist! Also, Ruby, I know how you feel, I fall asleep reading all the time.